Attorney Services Fort Lee: Why Hire An Attorney For Buying A Home? Home buying can be a stressful, complex process, especially if this is your first time purchasing real estate. New Jersey has its own set of unique requirements in place for when you buy a home, and your real estate agent will only go so far as to sell you the home you want, they won’t provide legal advice. This means that the best way to be sure you are getting the best deal with a contract that works in your favor is to hire an experienced real estate lawyer in Fort Lee to help you through the buying process with attorney services you can trust. We do so much more than offer you legal advice. Because we work directly with the seller, we are able to prepare a quality contract with fair terms for both sides. We work to guide the seller if they are requesting more than what was initially agreed, or refusing to hold up a condition they previously said they would. In addition, we can help you prepare the deed to your home and the transfer of the title, and we will be present at the closing to review any documents and make sure the entire process goes smoothly, so you don’t have any problems down the line. We work with you on a personal level to make sure that you understand the home buying process, answer any questions you may have, and review any documentation with you. This includes going through your buyer’s contract to make sure that the terms are in your favor and you aren’t being cheated in any way. Our review of the documents will also include a thorough audit of inspection reports, the title, and other legal papers, so you can be sure there are no covenants, liens, or easements against the property. After the review, we prepare and register all of the legal documentation involved in buying a home. 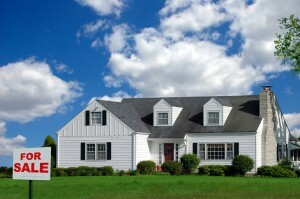 We also work with you and your mortgage lender to make sure everything is in order. Our legal services are designed to ensure that your home buying process is not only simple and straightforward, but at the end of it you have a legal, valid, and recorded ownership of the home. We do our best to make sure we provide the legal services you need at a price you’ll love. Our counsel will be either charged hourly or have a flat rate, depending on the case, and we will always discuss these fees with you before we begin so you know what to expect. In general, we tell our clients to budget around $1,000 for these services, but the total will vary from case to case. Our firm’s commitment to service is second to none, and our lawyers are all passionate about providing legal services our clients love. In this way, we are able to make difficult and stressful processes simple and worry-free. Learn more about our real estate legal services, and contact our qualified team today!